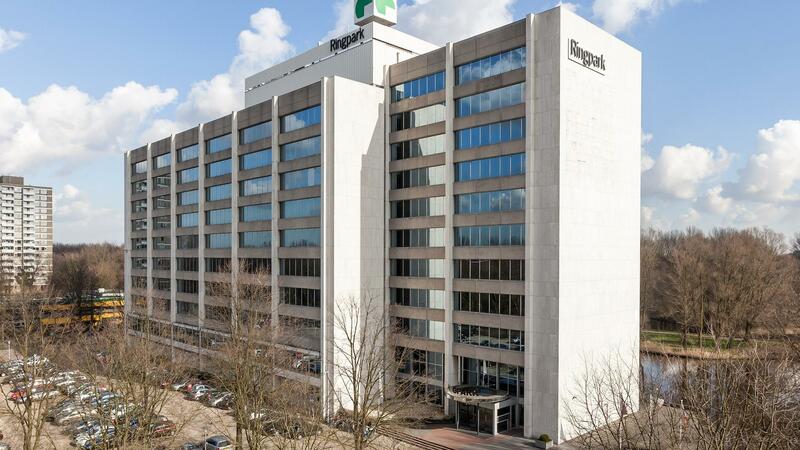 Round Hill Capital (“Round Hill”), a leading real estate investment, development and asset management firm, and real estate developer Boelens de Gruyter have acquired an existing office asset “Ring-Park” for potential refurbishment and expansion and an opportunity for significant residential redevelopment. The 11,804 m² site, in a prime position near the A10 ring-road in Central Amsterdam, in the Netherlands, is located in a “residential acceleration area” designated by the Municipality for potential residential (re)zoning in order to meet the strong and increasing demand for housing in Amsterdam. This transaction reflects the continuing expansion of Round Hill’s urban regeneration and development strategy in the Netherlands. In February 2018, Round Hill acquired, with Boelens de Gruyter and G&S Vastgoed, approximately 4.5 ha (43,000 m²) in Merwede Canal Zone in Utrecht to develop into a new urban neighbourhood. Over the past four years, Round Hill has successfully established its residential investment and asset management platform in the Netherlands and has acquired more than 10,000 Dutch residential units throughout this period. Across Europe, Round Hill has acquired and managed more than 100,000 residential units and has a significant and growing development pipeline. “Round Hill has a well-established and successful investment and development track record and asset management expertise across Europe, and this acquisition site further enhances our platform in the Netherlands, which remains a key focus for our strategy. The asset has significant asset management opportunities and potential residential redevelopment and we believe that it provides an exceptional opportunity to provide additional housing which is required to support continued population growth in Amsterdam. Round Hill Capital is a highly focused investor and is experienced in establishing and running first class operating companies, having invested more than €6.5 billion of capital in real estate assets since its inception in 2002. Round Hill Capital has successfully acquired and managed more than 100,000 residential units across Europe and currently is one of the largest private landlords in multiple countries. manages real estate with some of the world’s leading institutions and private investors. Boelens de Gruyter is a real estate company with operations throughout the country that has been actively involved in retail property and residential construction since 2007. For Boelens de Gruyter, the focus is always squarely on the user, and the living or working environment in question is always developed for and together with the client. Coming up with efficient solutions for sustainable use and/or reuse is always an essential part of this process. Boelens de Gruyter has a long and successful track record with urban development/redevelopment projects, often of a very complex nature.